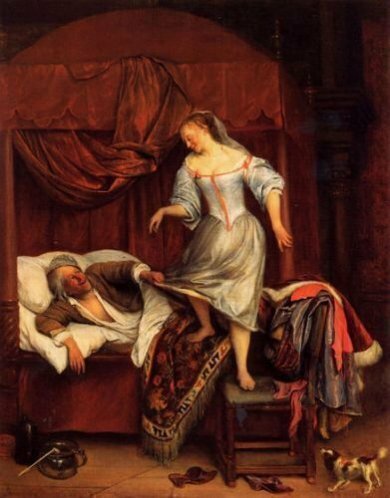 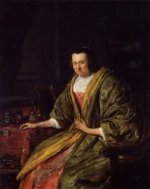 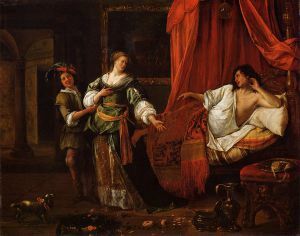 Jan Havickszoon Steen (c. 1626 – buried February 3, 1679) was a Dutch genre painter of the 17th century (also known as the Dutch Golden Age). 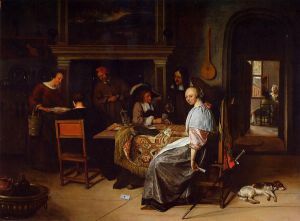 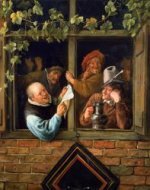 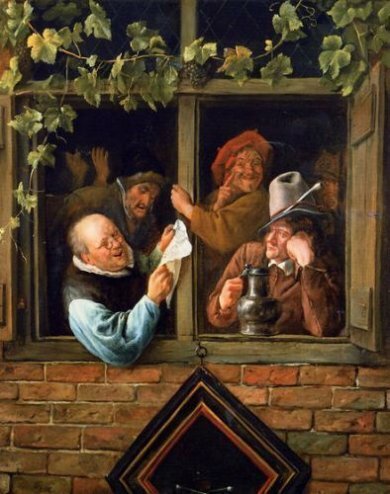 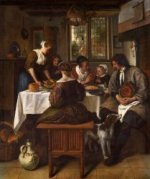 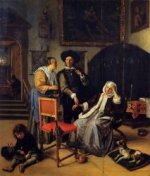 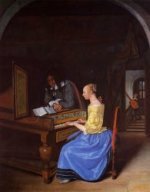 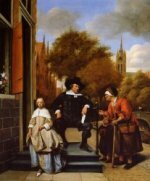 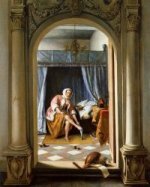 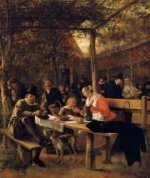 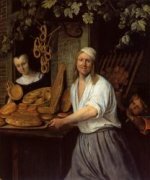 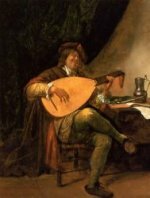 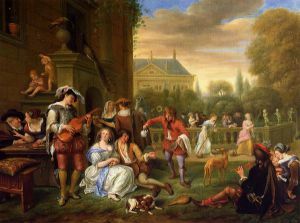 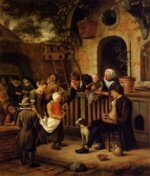 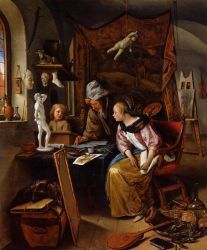 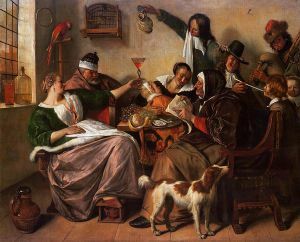 Psychological insight, sense of humour and abundance of colour are marks of his trade.Daily life was Jan Steen's main pictorial theme. 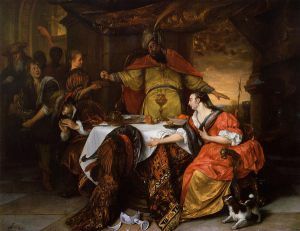 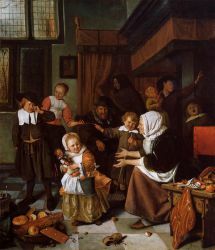 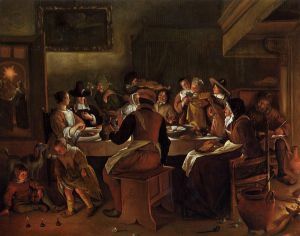 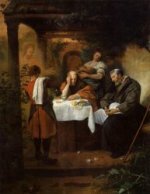 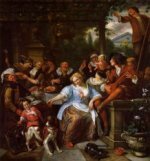 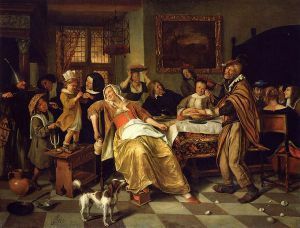 Many of the genre scenes he portrayed, like in The Feast of Saint Nicholas, are lively to the point of chaos and lustfulness, even so much that a Jan Steen household, meaning a messy scene, became a Dutch proverb (een huishouden van Jan Steen). 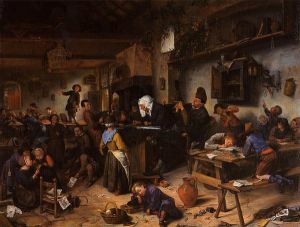 Subtle hints in his paintings seem to suggest that Steen meant to warn the viewer rather than invite him to copy this behaviour. 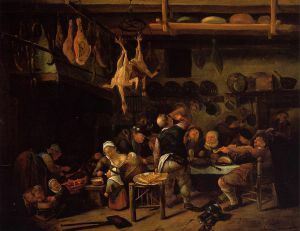 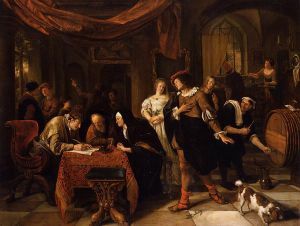 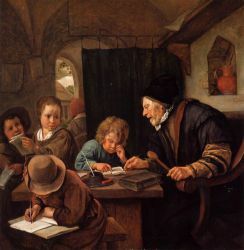 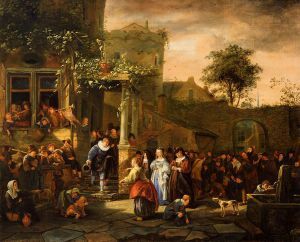 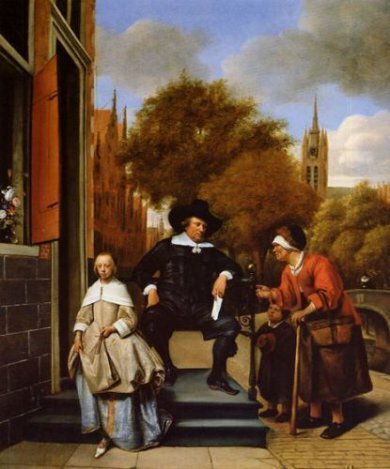 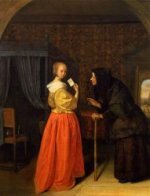 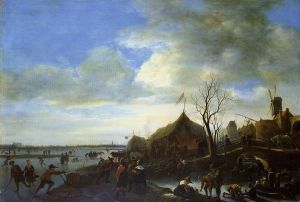 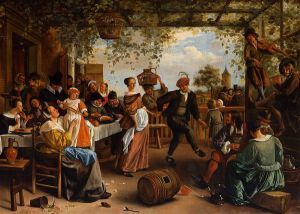 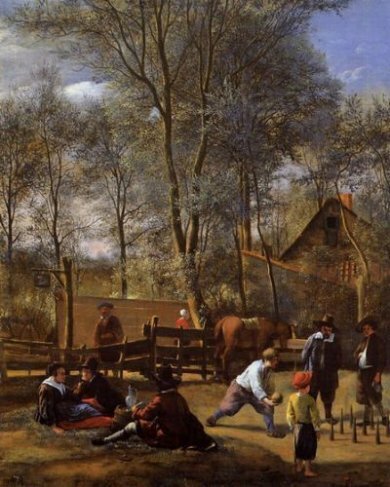 Many of Steen's paintings bear references to old Dutch proverbs or literature. 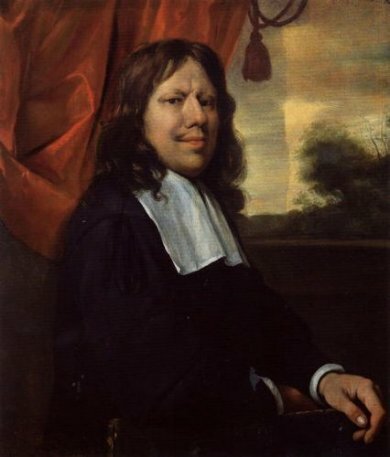 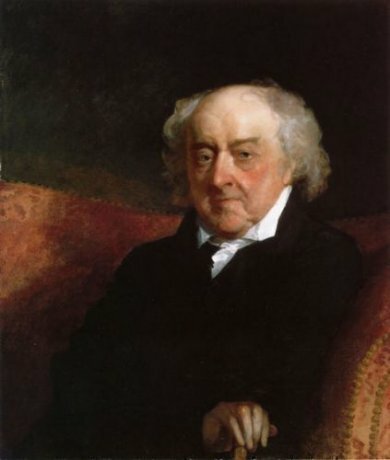 He often used members of his family as models. 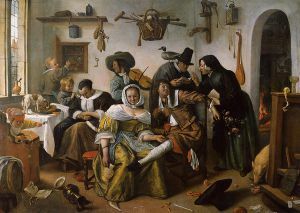 Jan Steen painted also quite a few self-portraits, in which he showed no tendency of vanity. 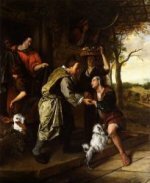 Steen did not shy from other themes: he painted historical, mythological and religious scenes, portraits, still lifes and natural scenes. 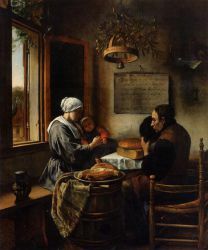 His portraits of children are famous. 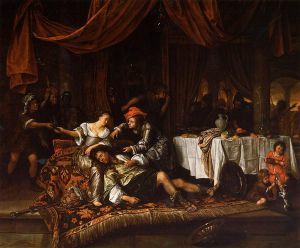 He is also well known for his mastery of light and attention to detail, most notably in persian rugs, who look quite worn and other textiles. 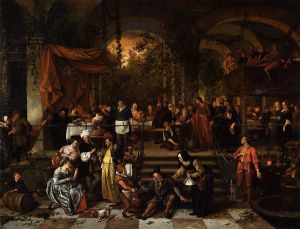 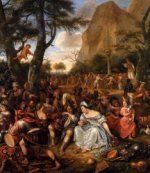 Steen was prolific, producing about 800 paintings, of which roughly 350 survive. His work was valued much by contemporaries and as a result he was reasonably well paid for his work. 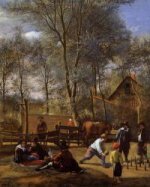 He did not have many students, only Richard Brakenburg is recorded, but his work proved a source of inspiration for many painters.